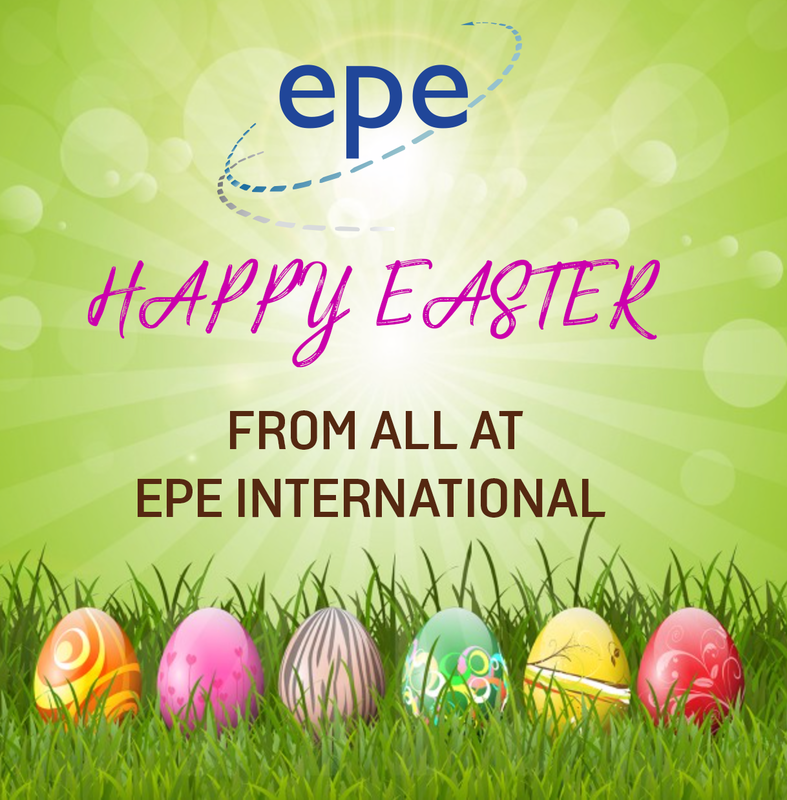 Happy Easter & Happy Bank Holiday to all our customers! 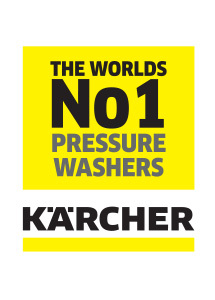 Be summer ready with kärcher! 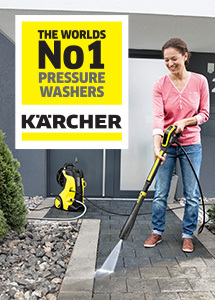 Get ahead and stock up instore and online with the K7 pressure washer from Karcher, perfect for cleaning the garden this summer! 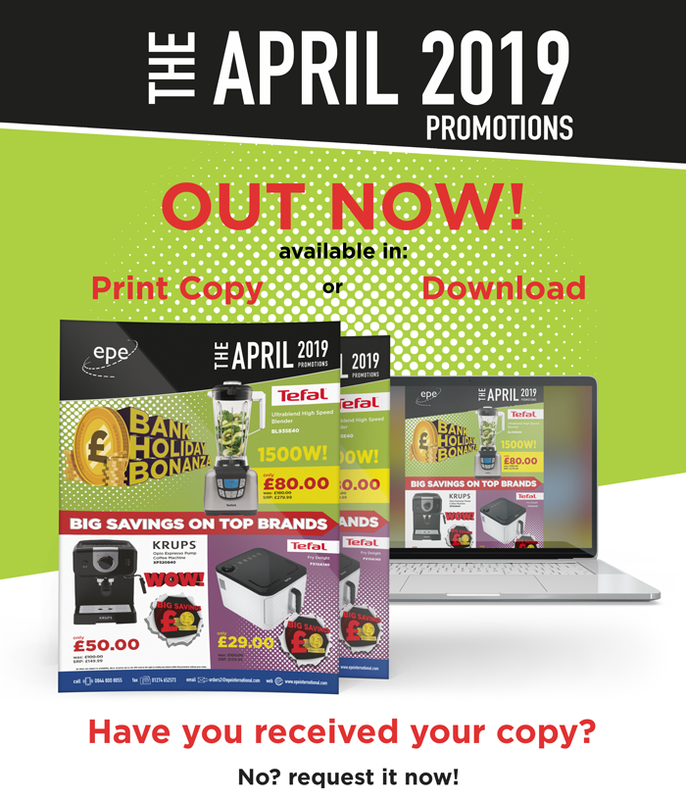 It’s not too late to request your copy of the April Promotions brochure! 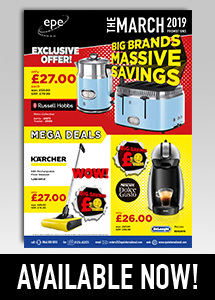 Big Brands, massive savings and packed full of mega deals! 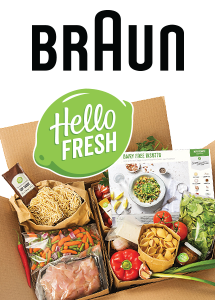 You DONT want to miss this Mega Deal! 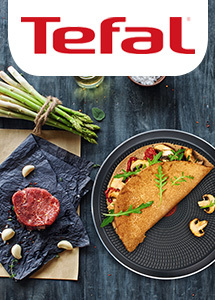 Tefal’s most powerful blender. 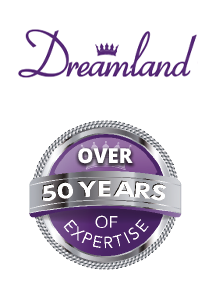 At 45,000 rotations per minute the Ultrablend pulverizes any ingredients producing maximum nutrient release and super-smooth results. 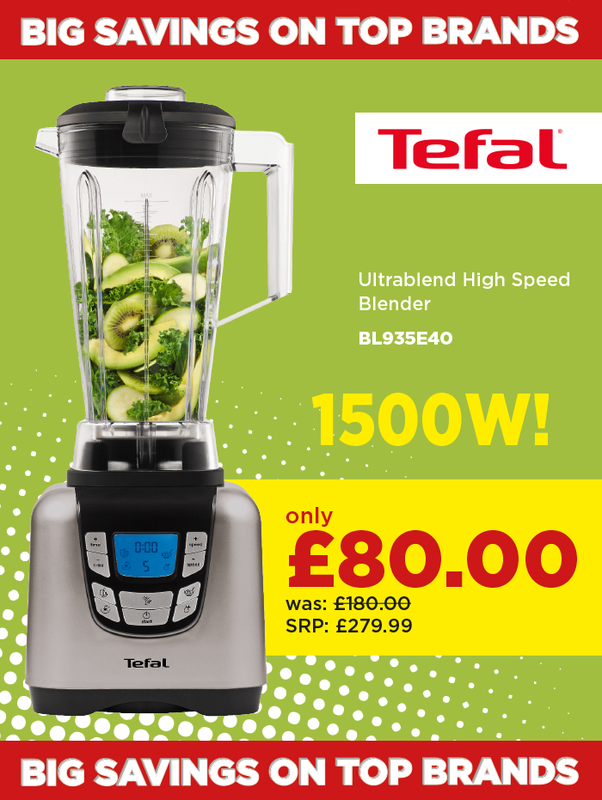 HURRY…Simply click HERE to order your Tefal Blender before it’s sold out! 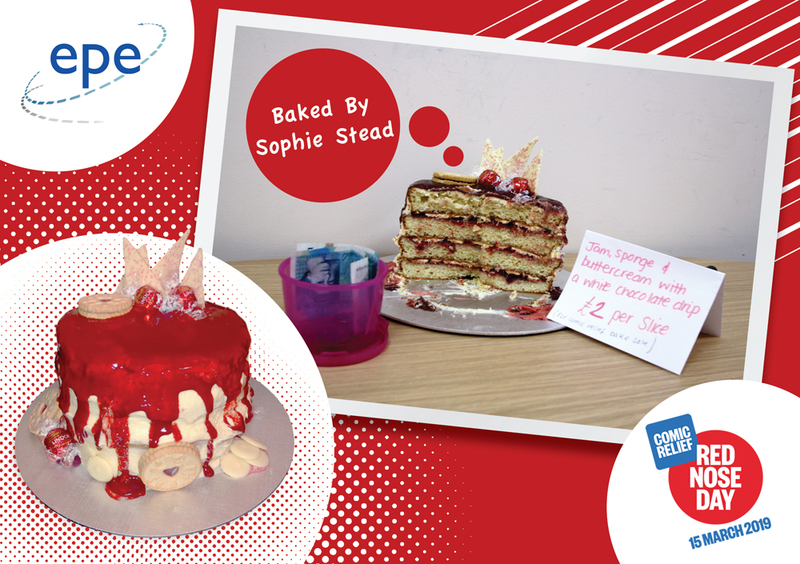 If you would like to promote this campaign and increase sales in-store and online, we can support you with in-store POS and digital assets! Click here to request your POS. 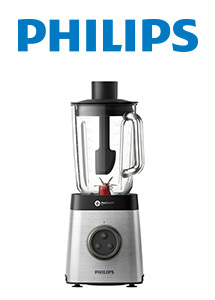 Log in and click here to order your MultiQuick hand blender today! 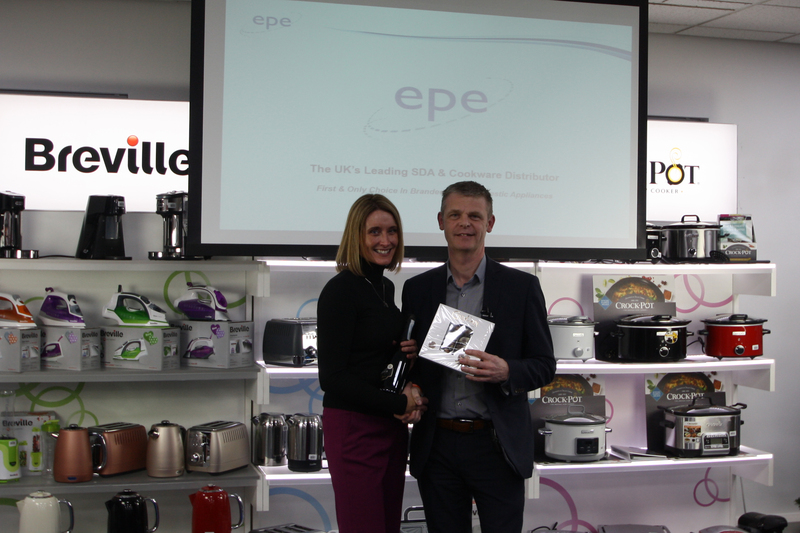 April Promotions Brochure Out Now! 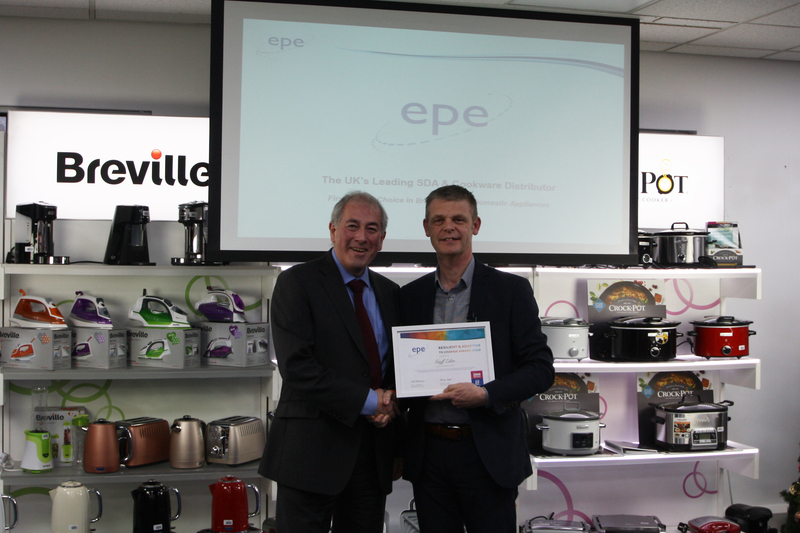 The April 2019 EPE Promotions brochure is now available in print format and for digital download. Today may be the last day of sunshine but don’t let it rain on your barbecue! 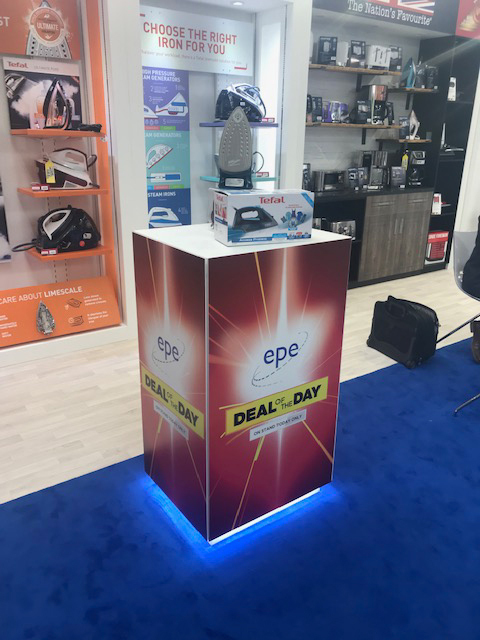 Available at EPE! 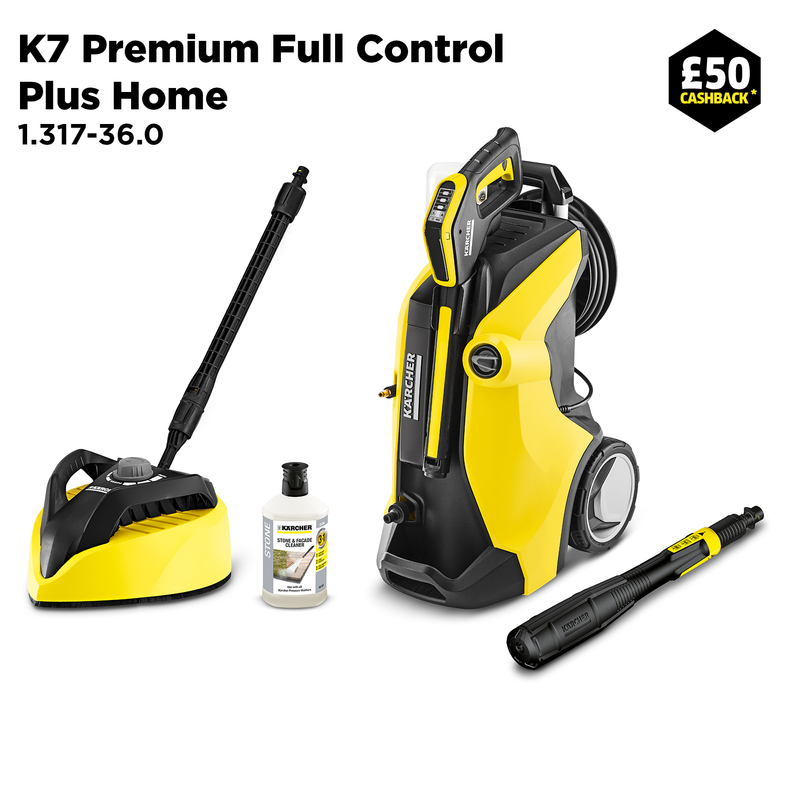 Log in to our Trade Site and click here to order now. 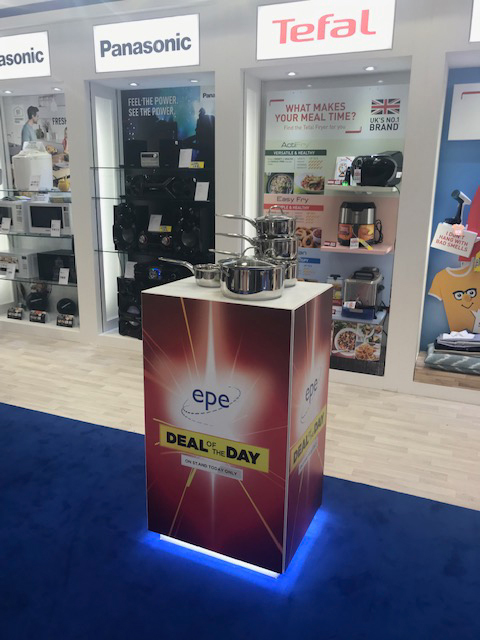 You can find the Philips indoor smokeless grill in our Monthly Promotions Brochure or if you would like to view the full Kitchen Showcase range head over to page 85 of our Buyers Choice Catalogue. 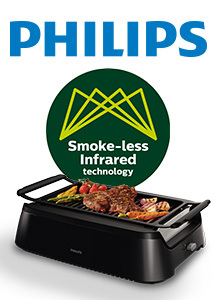 Bring the great taste of summer indoors with the Philips indoor smokeless grill, a unique appliance that allows you to enjoy tasty, evenly browned grilled food all year round. 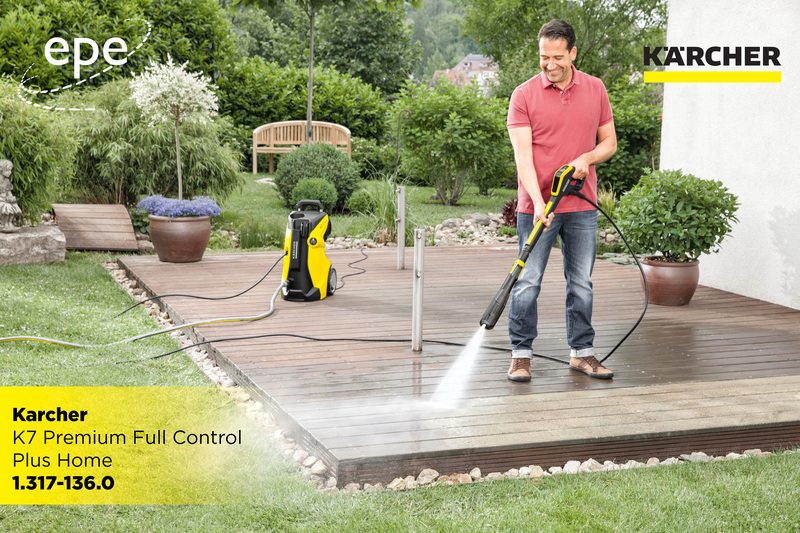 The advanced Infrared Heat technology ensures up to 80% less smoke* and minimal splattering. 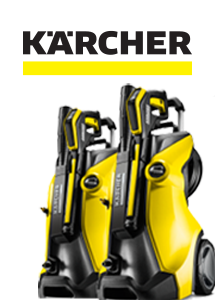 You can find the Braun MultQuick 1 on page 47 of The Buyers Choice catalogue. 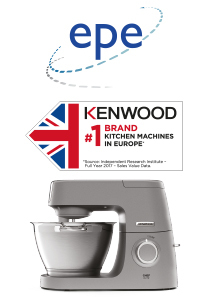 The MultiQuick 1 Hand blender MQ100 Soup has a simple speed activation for easy blending with simply one touch. 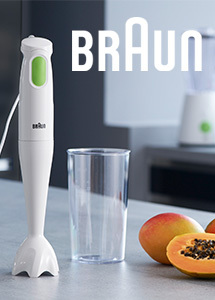 With its unique power bell technology, this single use hand blender is proven to produce finer more even results, making it suitable for making soups, smoothies and much more. 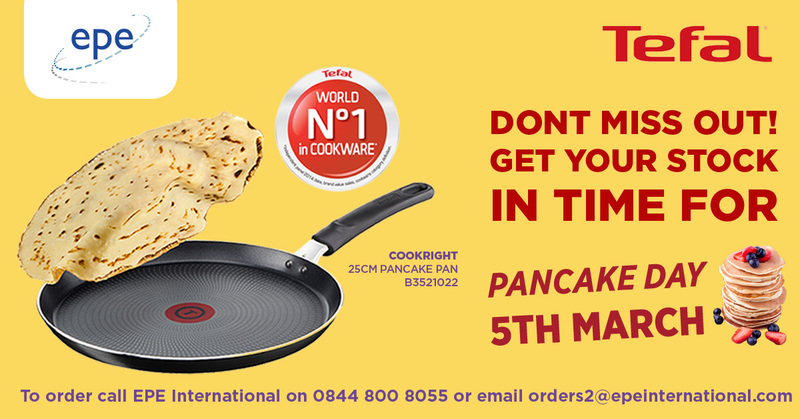 You can find the Tefal Cookright Pancake Pan on page 159 of our Buyers Choice Catalogue. 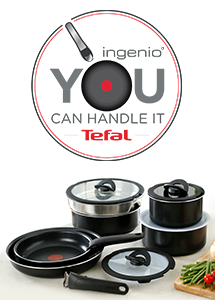 Tefal Cookright is an easy-to-use range with performance designed to meet everyday cooking needs. 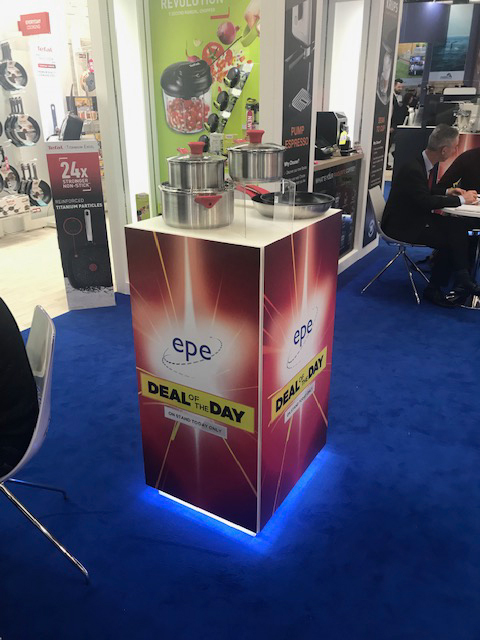 The new Thermo-Spot system lets you know the ideal temperature to start cooking, for perfect results with total ease, while a new easy-cleaning Powerglide coating produces longer extra glide. 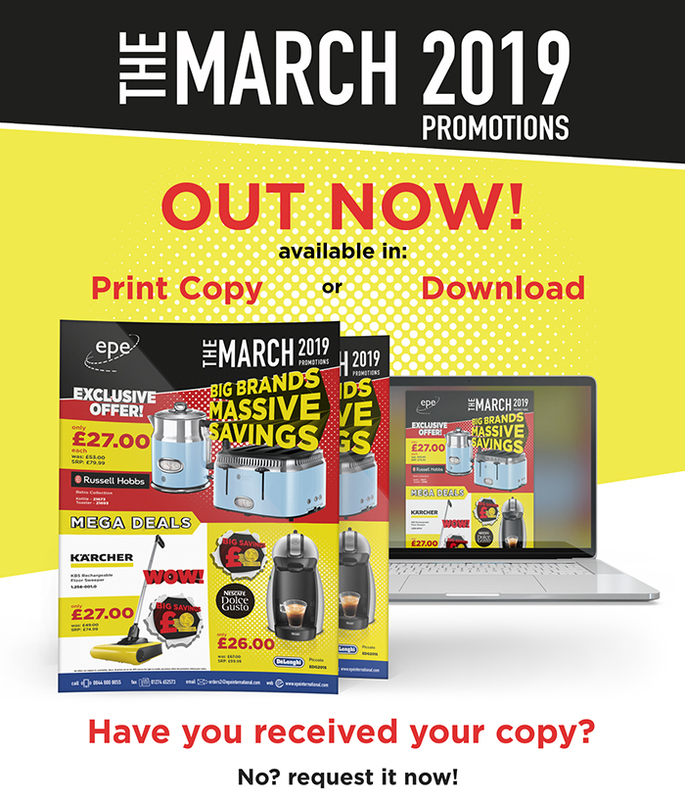 You can find the Krups Evidence Connected bean-to-cup coffee machine in our Monthly Promotions Brochure or if you would like to view the full range check out page 187 of our Semi-Annual Catalogue. 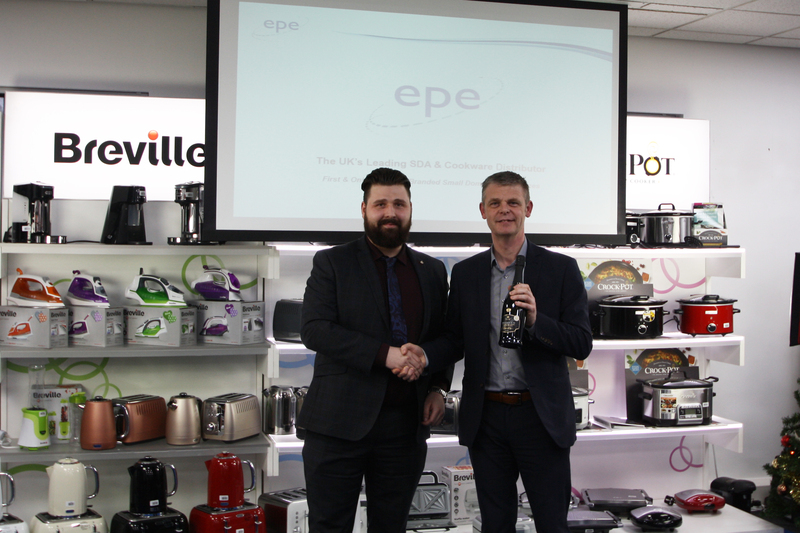 Designed to produce flawless results down to the last detail, the KRUPS Evidence Connected Bean to Cup coffee machine will delight all coffee connoisseurs. 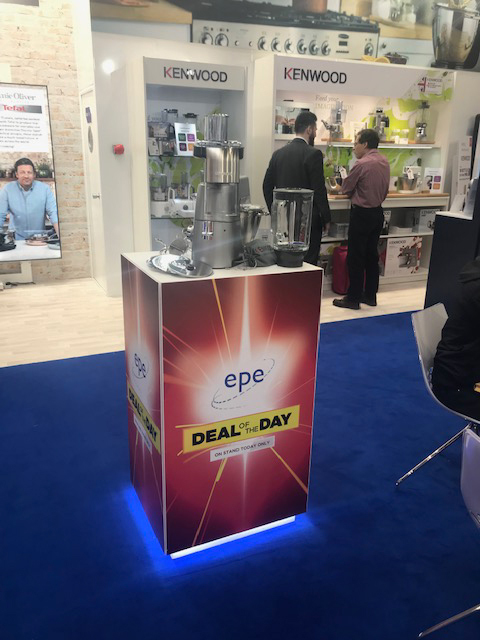 With its elegant, timeless design and compact dimensions, this premium machine fits any kitchen, while 15 one-touch drinks make it easy to brew that perfect Barista Style drink. 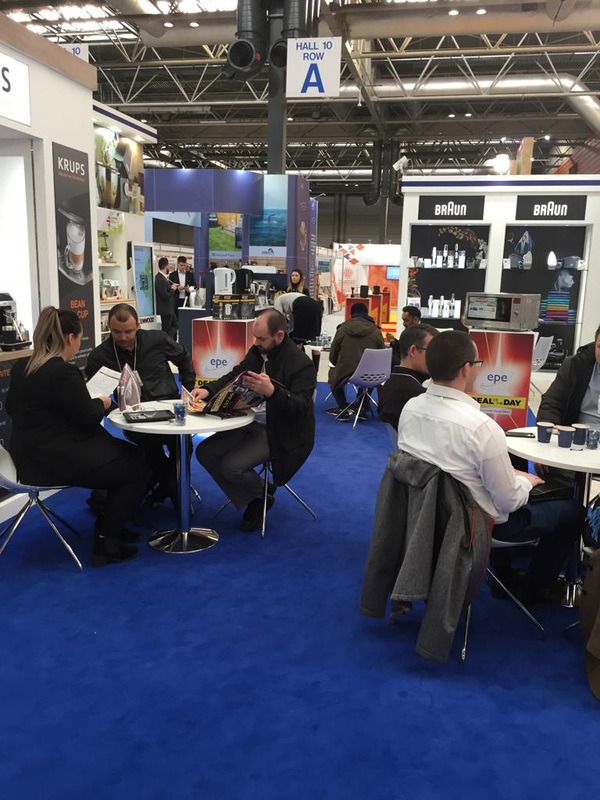 Coffee can even be made by smartphone! 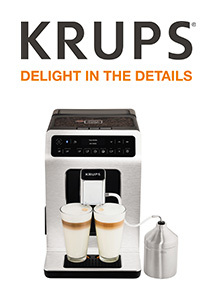 The KRUPS Espresso app (available on iOS and Android) allows brewing remotely, save favourites, keep a maintenance log and get the latest KRUPS news. 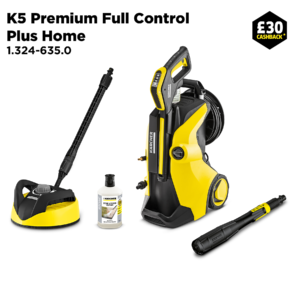 Help drive your sales with their latest offer! 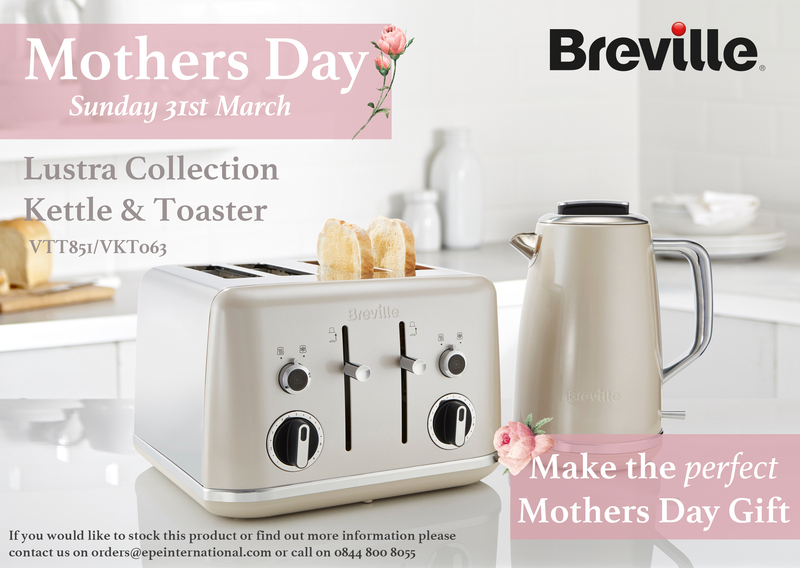 To find out more about this promotion please click here. 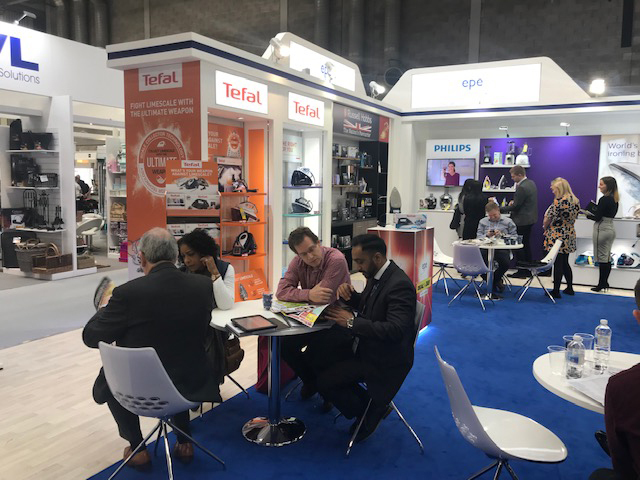 Despite the current retail landscape Spring fair 2019 was a very positive show. 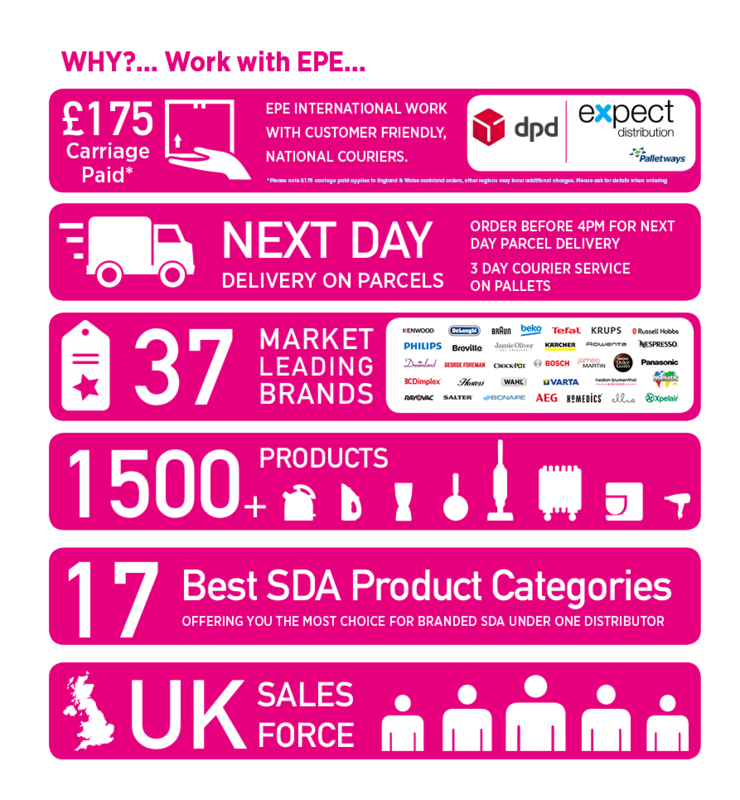 4 products every day over 6 days, that’s 24 products at crazy prices all cleared out in volume by midday of every day! 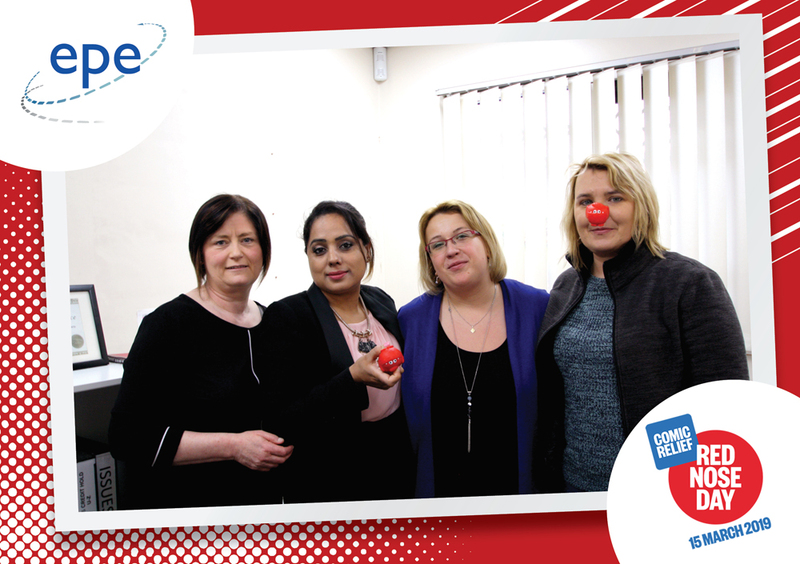 Outstanding performance by our staff and well done to the lucky early bird customers! 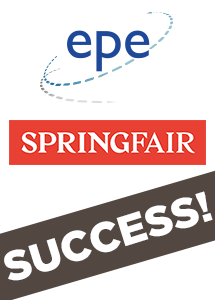 Thank you for visiting EPE at Spring Fair 2019! 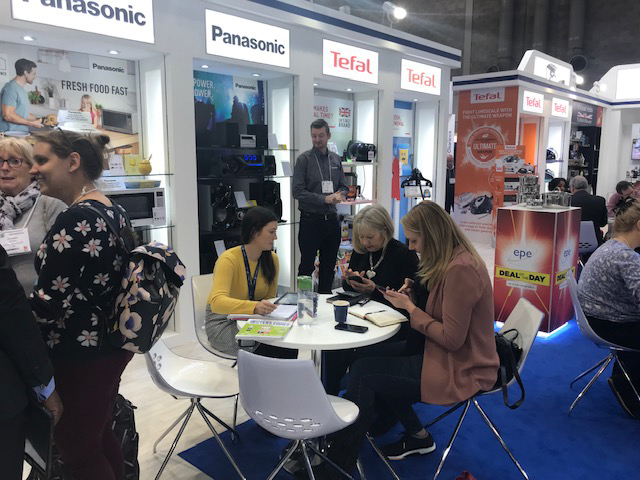 Thank you to all our customers and brands for visiting our stand and and making Spring Fair 2019 another success for EPE International. 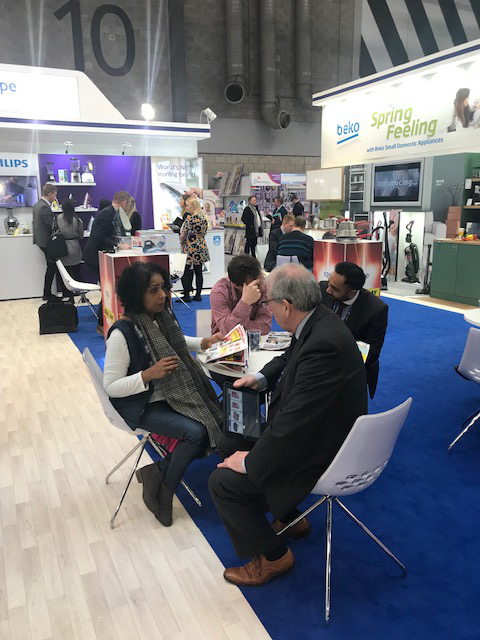 This years many new features were introduced at the stand including the Deals of the Day a very successful new addition and the all new Buyers Choice and Promotions Brochure were launched at the show. 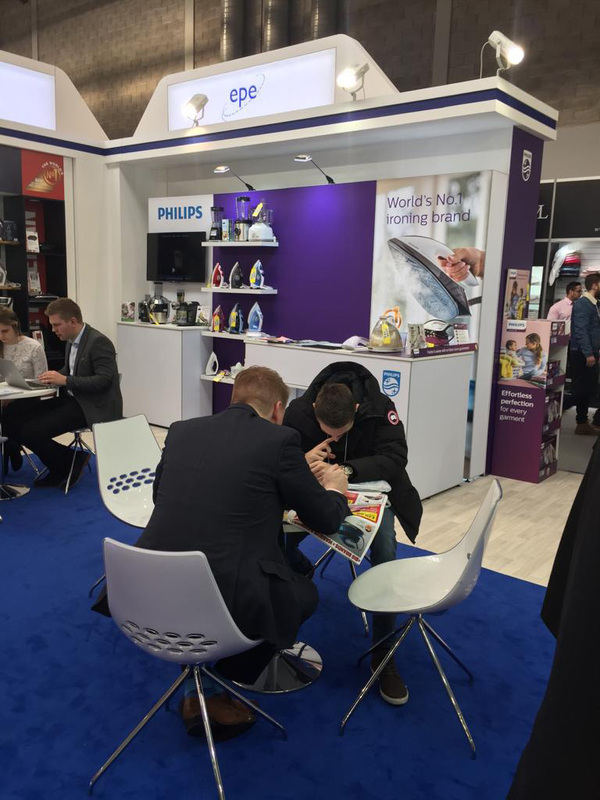 The feedback and review have been very positive! 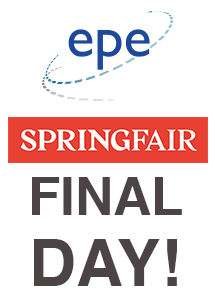 Final day of Spring Fair 2019! 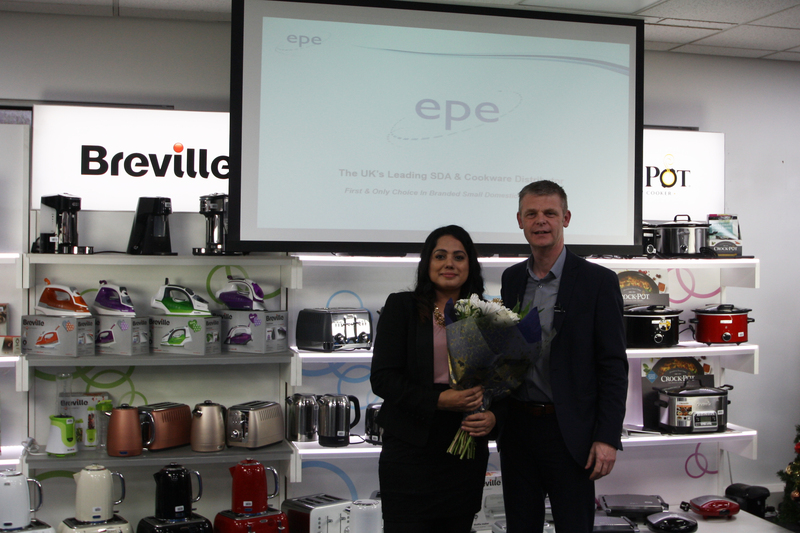 Our Brand Partners are on hand to demonstrate a selection of our products. 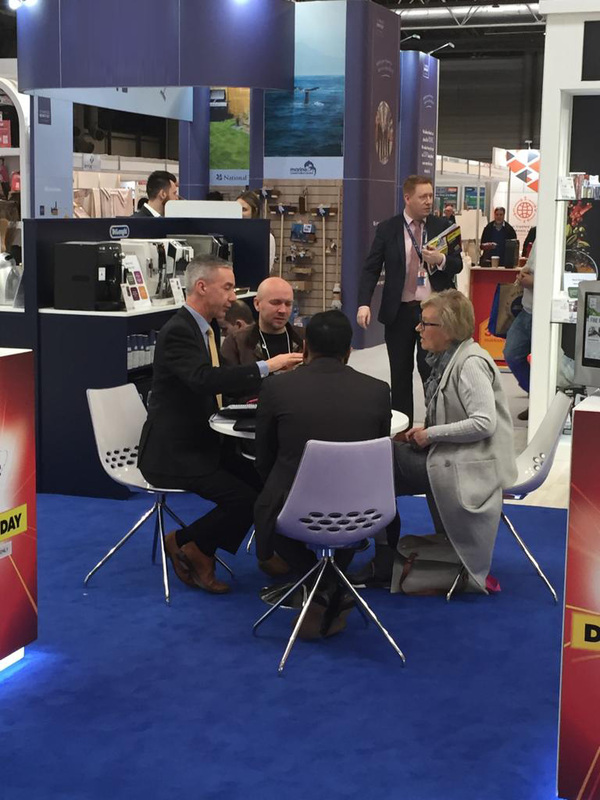 Enjoy your favourite coffee whilst learning all about the Delonghi Prima Donna Elite coffee machine and its numerous coffee capabilities. 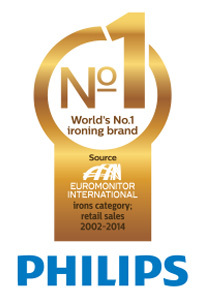 See the Philips PerfectCare Aqua Pro Steam Generator go from ironing jeans to silk with no need to change temperature setting. Be amazed at how quickly the Tefal manual chopper can dice an onion. 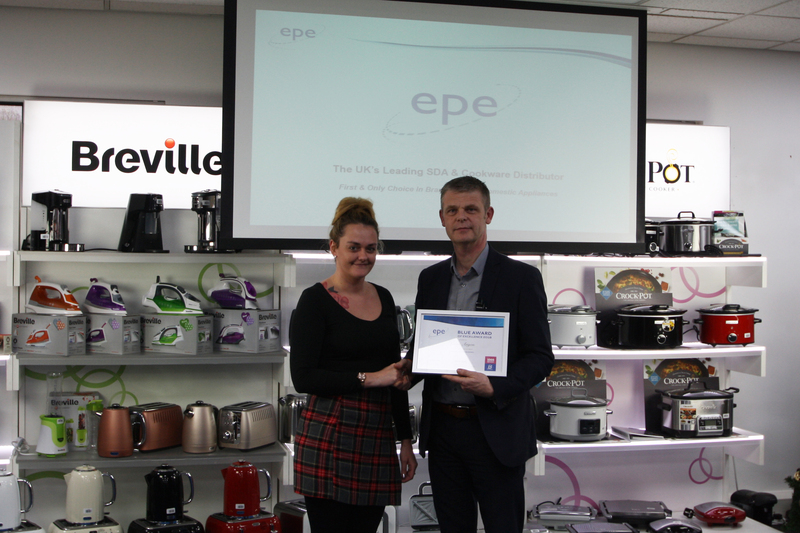 A mark of success for EPE Sales Representative Hannah Hawkins! 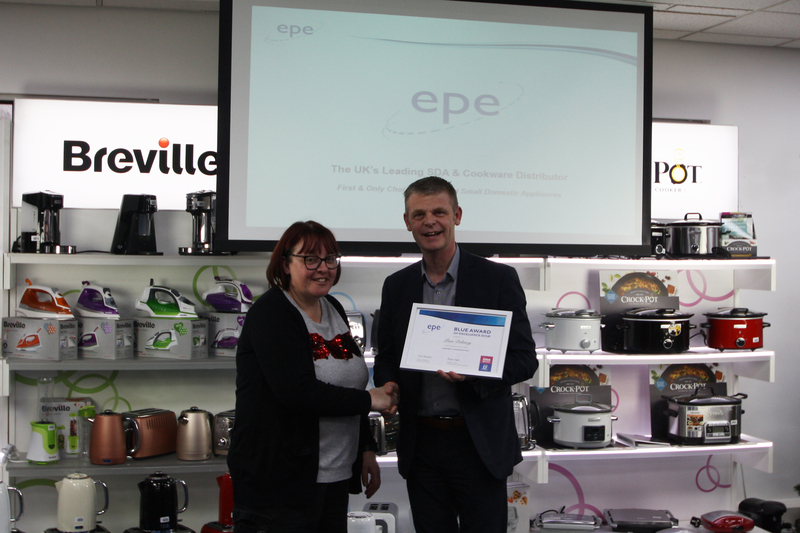 EPE provides excellence in service by the excellence in staff training. 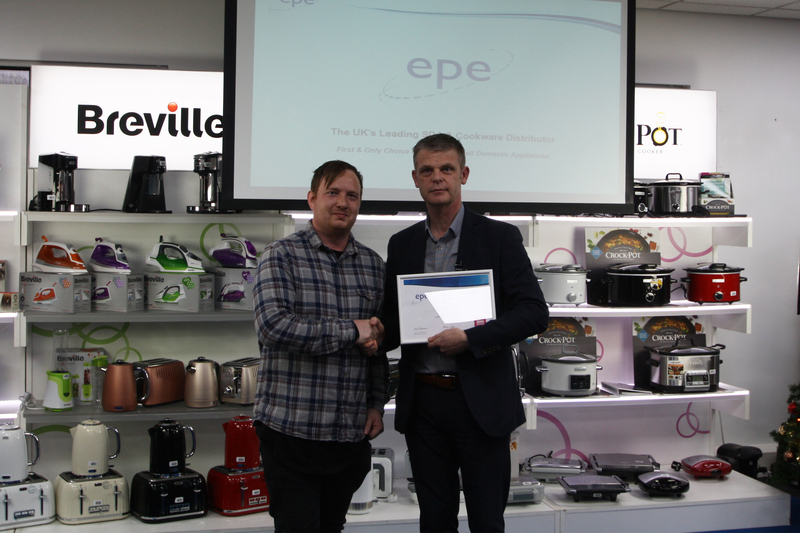 We are highly committed to providing high quality training to our staff enabling them to be the best in the industry and helping them to deliver top service to our customers. 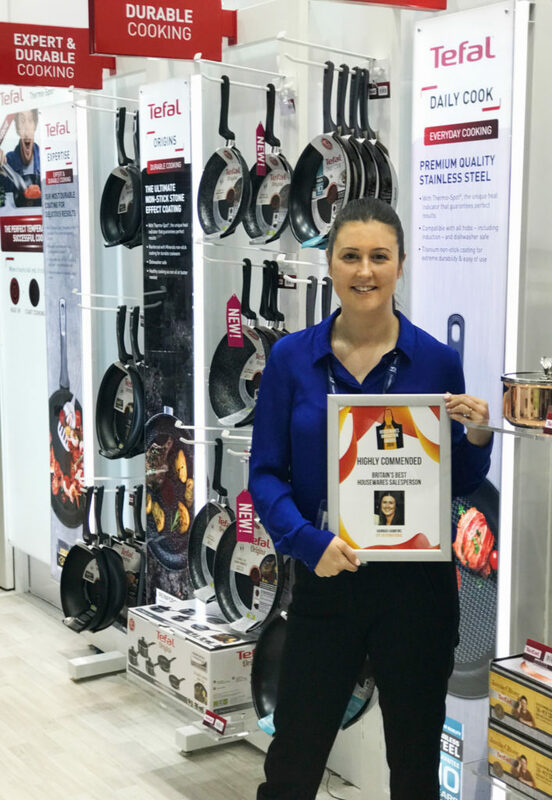 Our very own sales representative Hannah Hawkins demonstrates this and wins Highly Commended Britains Best Housewares Sales Person at the Housewares Innovation Awards 2019. 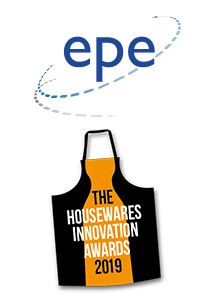 The Housewares Innovation Awards recognise and reward the sector’s most innovative products, outstanding retailers and exceptional individuals to shine. 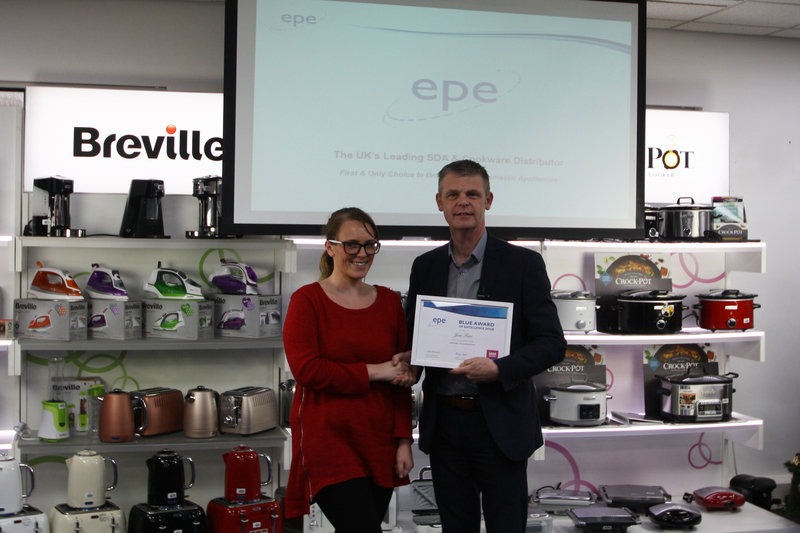 We are very proud to announce Hannah was one of the award winners at this event! 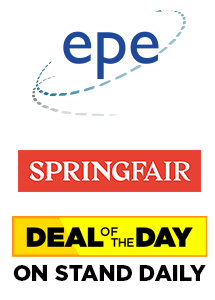 Don’t miss out on our Deal of the Day’s and Mega Deals! 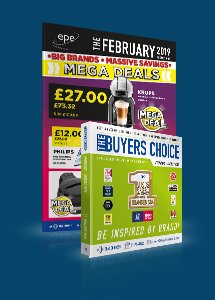 Ask on stand for the Monthly Mega Deal promotions brochure now…Big Brands, Massive Savings & packed full of mega deals! 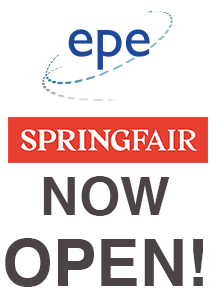 Spring Fair 2019 is now open! 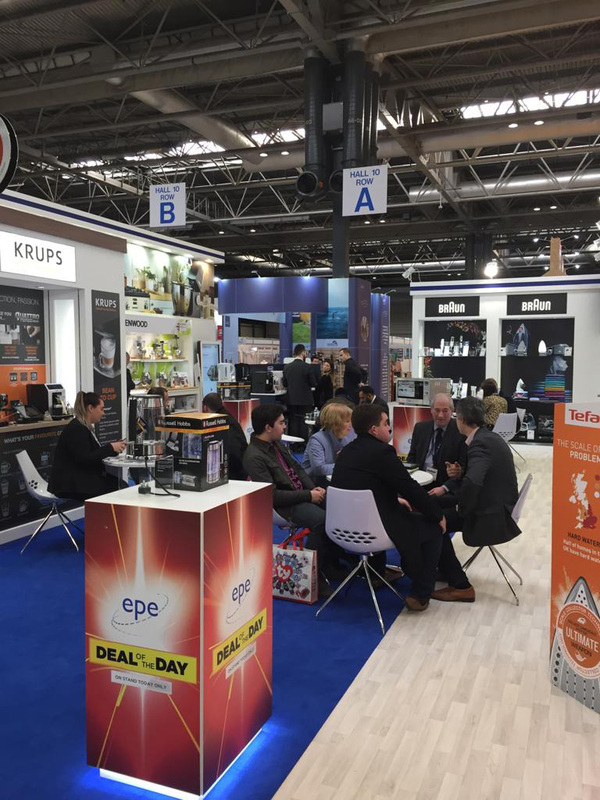 Come and meet our friendly sales representatives and find out more about some of our big brands and deals. 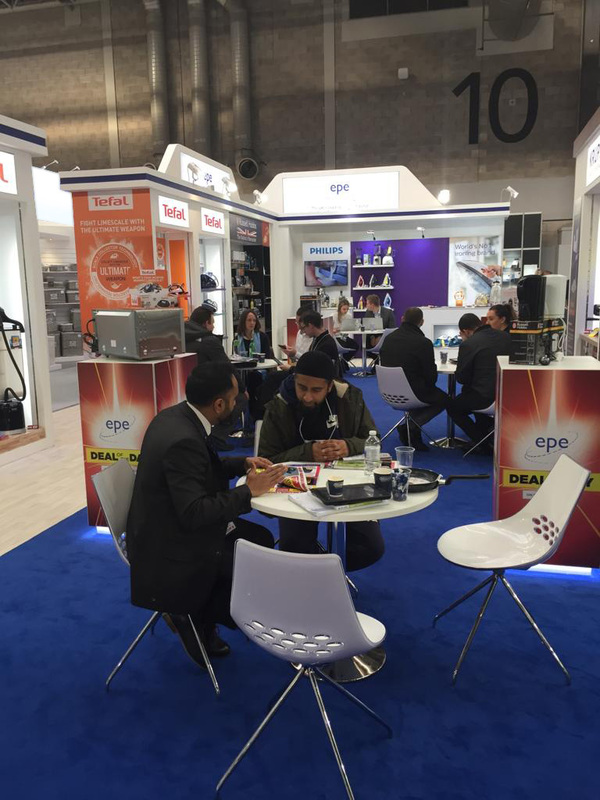 Visit EPE in Hall 10 Stand 1OAO5-AO4…you don’t want to miss this opportunity! 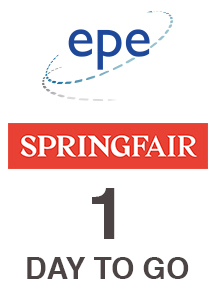 1 Day to go until Spring fair 2019! 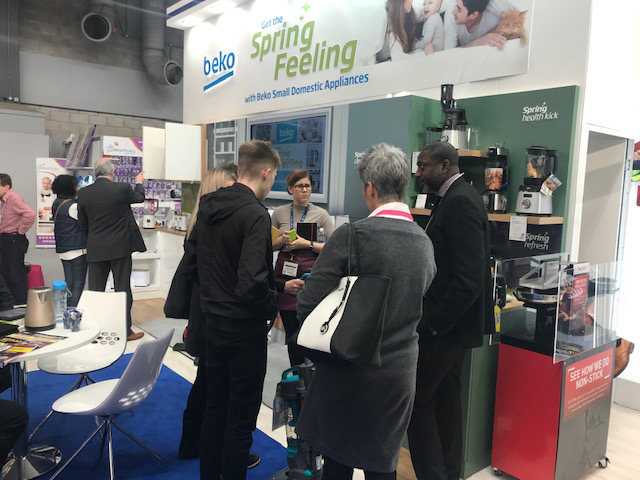 The countdown is almost over…Just 1 day to go until we will be exhibiting at the NEC Spring Fair 2019. 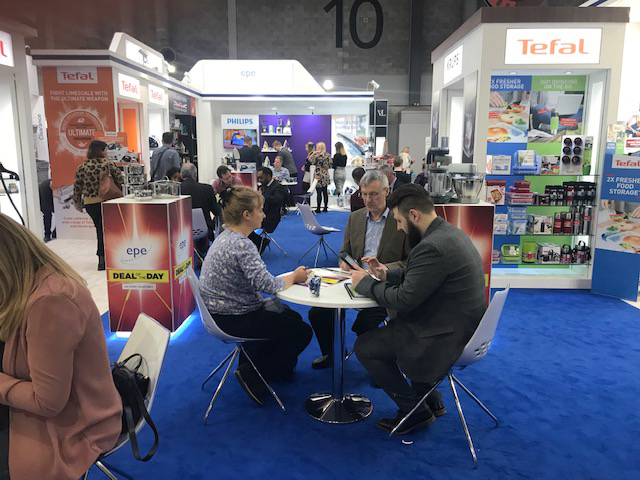 Come visit us on stand 1oA05-A04. 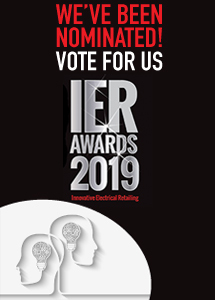 Today is your last chance to vote for EPE International at the 2019 IER Awards! 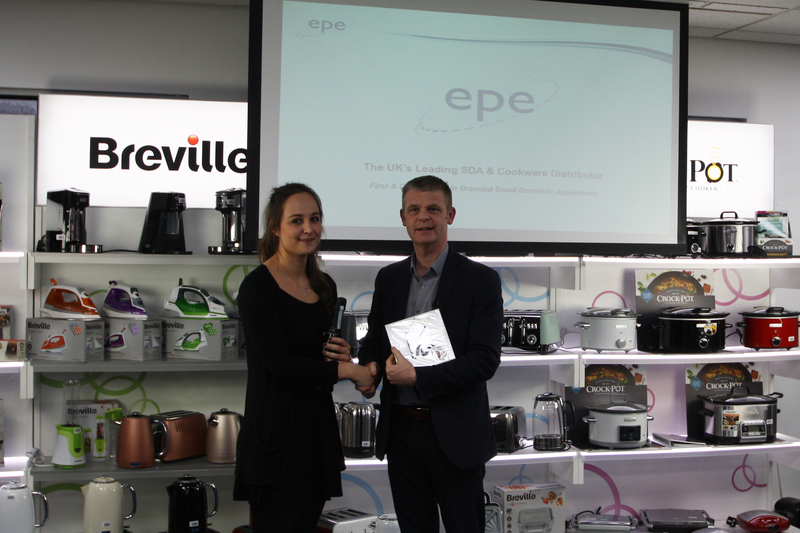 EPE Internationals brand new look! 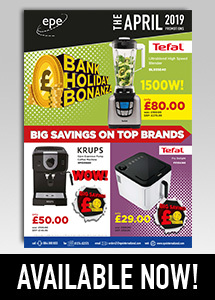 Introducing a fresh new look with the Buyers Choice February – August Catalogue & Monthly Promotions Brochure! 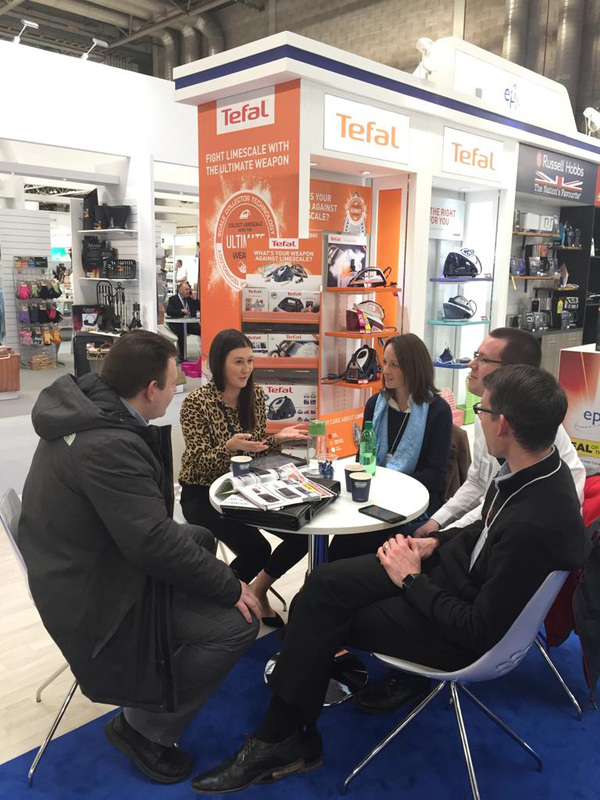 Launching for Spring Fair 2019, this year’s product range is more extensive than ever, featuring hundreds of great products, including many new products giving you more choice! 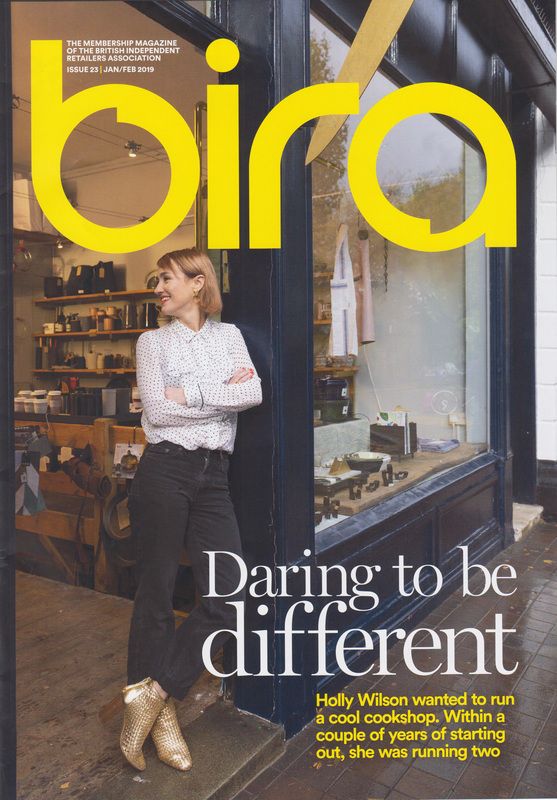 The new additions are now available in print format and for digital download. 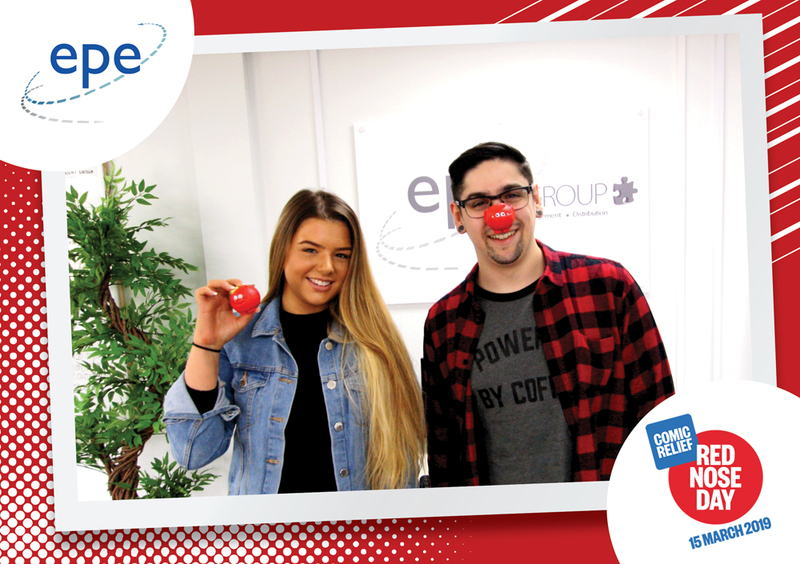 Only 2 days left to vote for EPE International at the 2019 IER Awards! 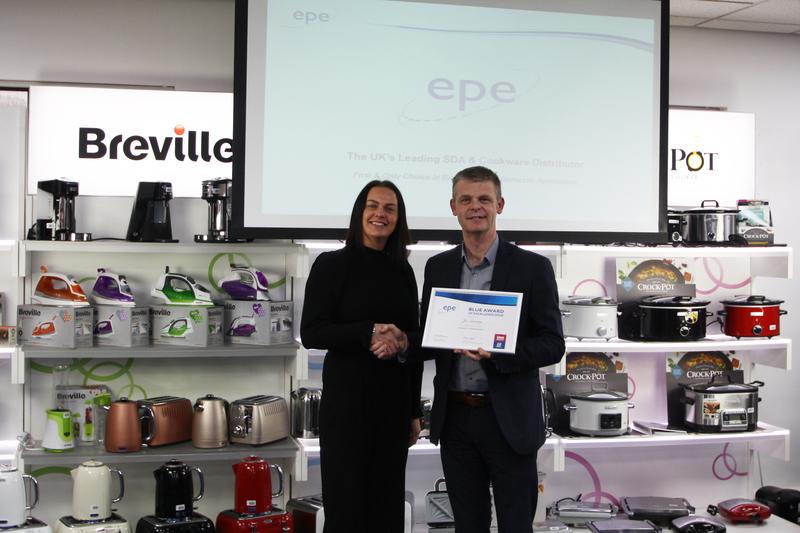 EPE International have been shortlisted for the Best Distributor award at the 2019 IER Awards. 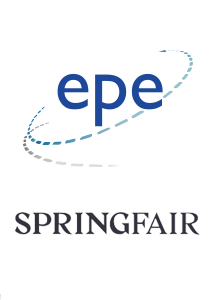 EPE International will be exhibiting at the NEC Spring Fair 2019, from the 2-7th September. 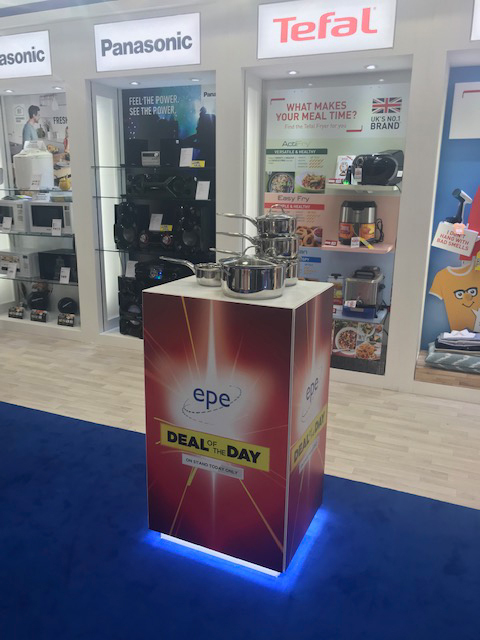 Come see EPE at Hall 10 Stand 10A05-A04. 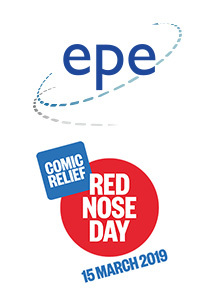 …only 5 days and counting to go! 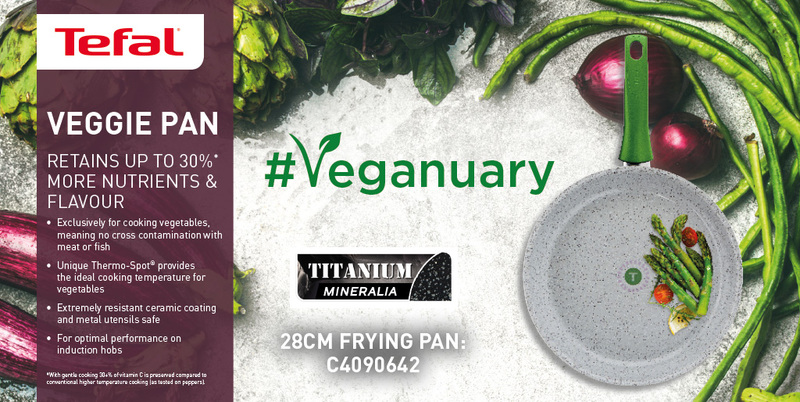 Are you taking part in Veganuary? ? 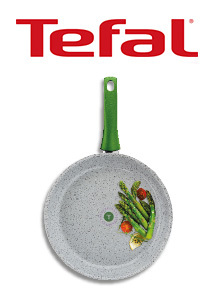 Create the perfect vegan dish using the Tefal Veggie pan, retaining up to 30% more nutrients & flavour. 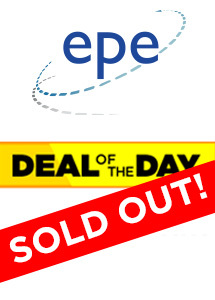 Call 0844 800 8055 or email orders@epeinternational.com to order now. 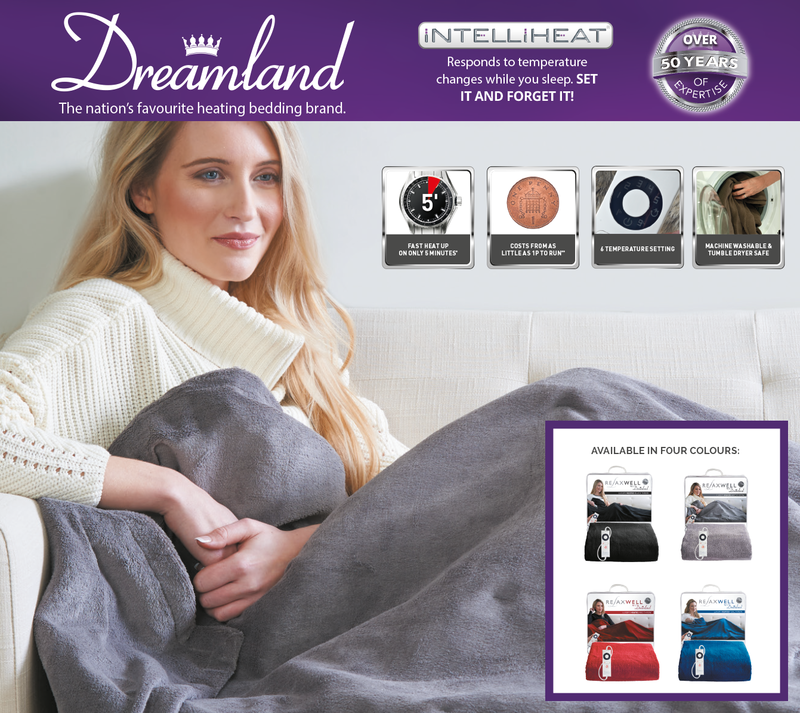 Beat those winter blues with the Dreamland Luxury Heated Throw ❄️? 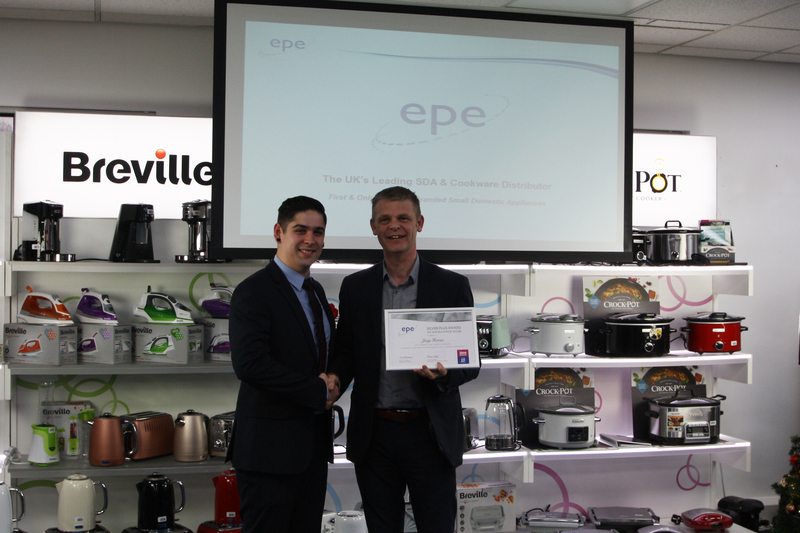 Costing from as little as 1p per use to run, this winter essential reaches the required temperature in just 5 minutes. DIVERSE, RELEVANT , EXCITING… A show not to be missed. 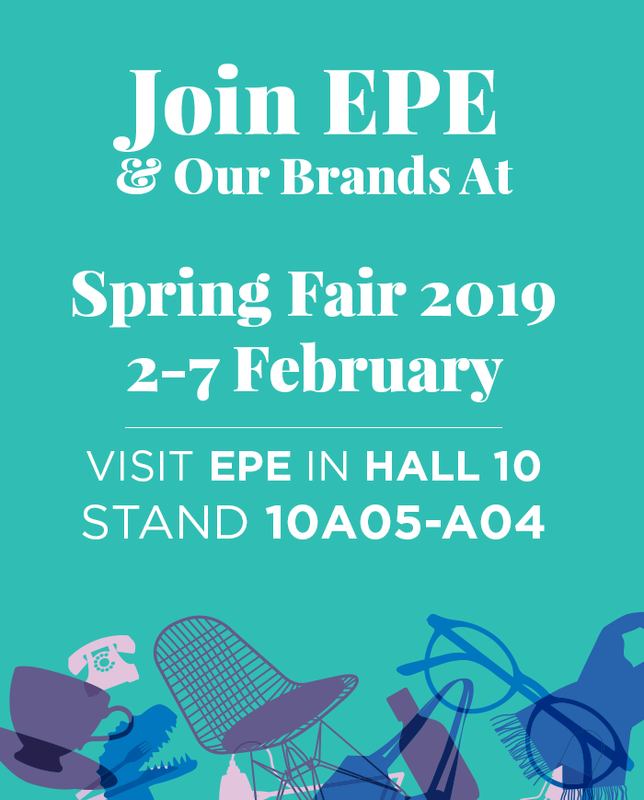 Come visit EPE International at Spring Fair 2019! 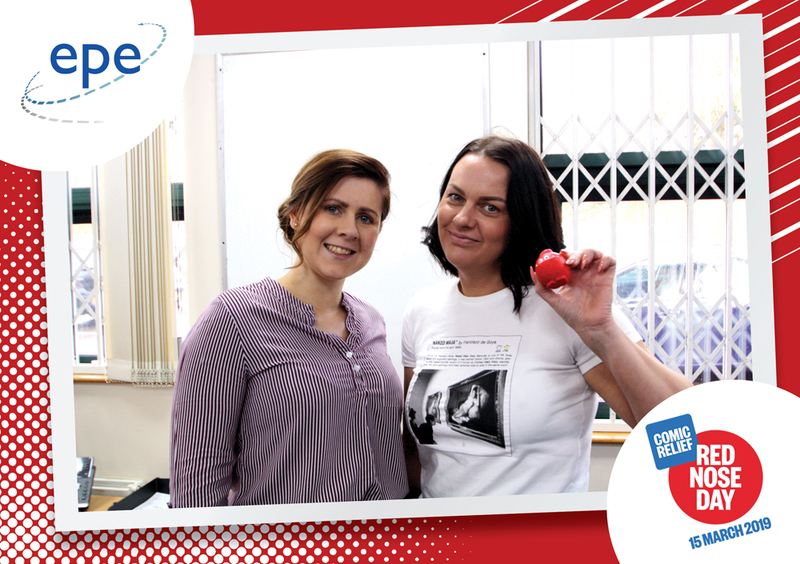 Get your free ticket here & we look forward to seeing you soon! 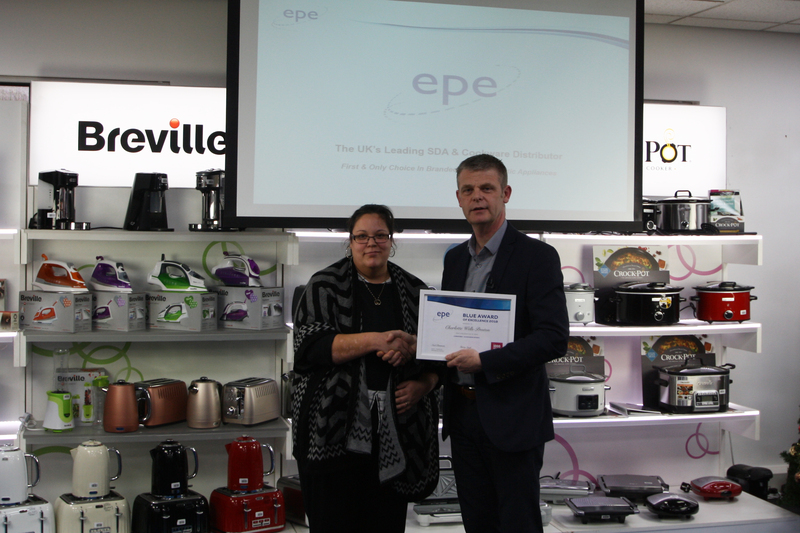 EPE International Shortlisted For The IER Awards – Hurry! 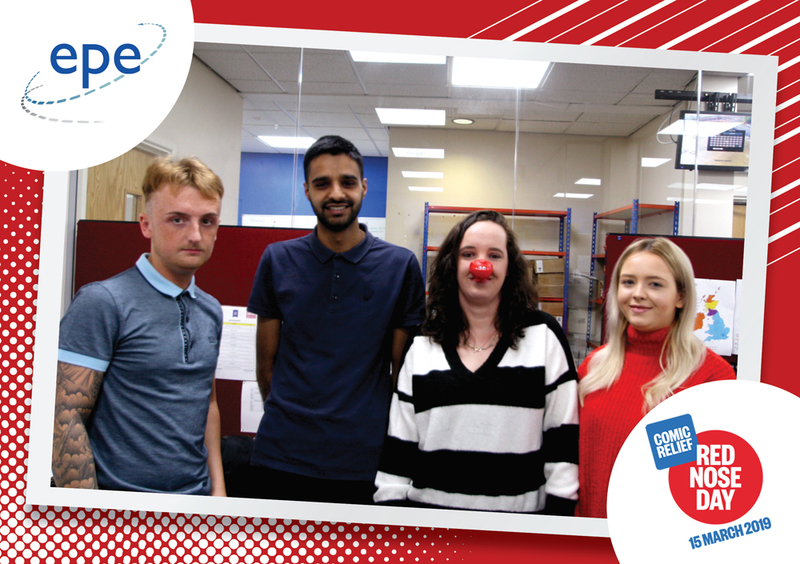 Voting closes 31st January 2019. 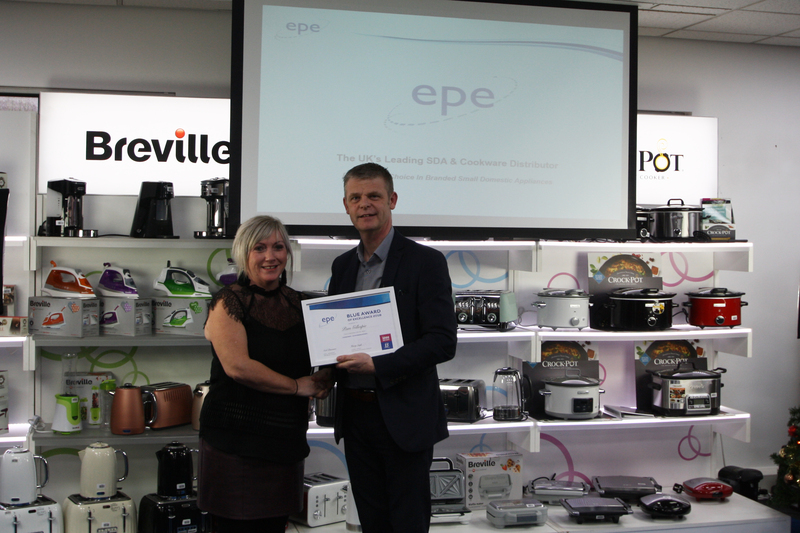 EPE International have been shortlisted for the Best Distributor Award at the IER Awards for the 3rd year running! 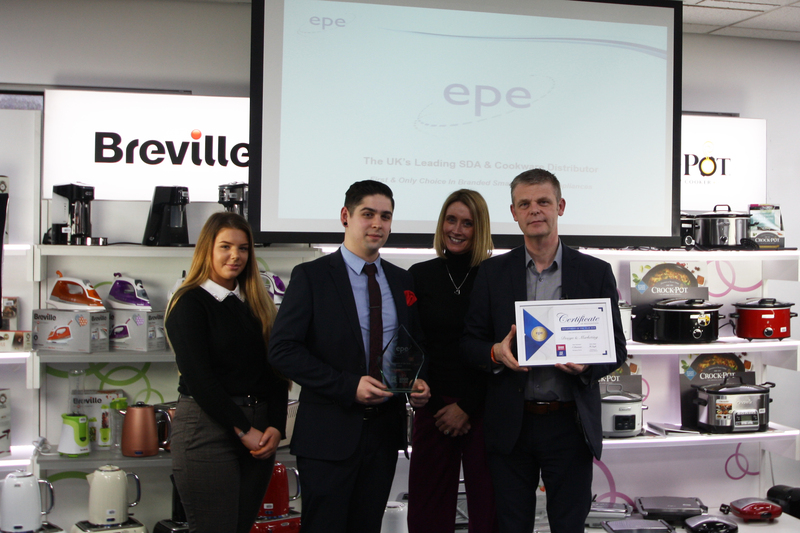 The Innovative Electrical Awards are designed to champion and celebrate the very best from within the sector and acknowledge a diverse array of achievements – from the stand-out independent retailers of domestic appliances and the top technical innovations for consumer electronics, through to outstanding levels of customer service and the optimum online presence. 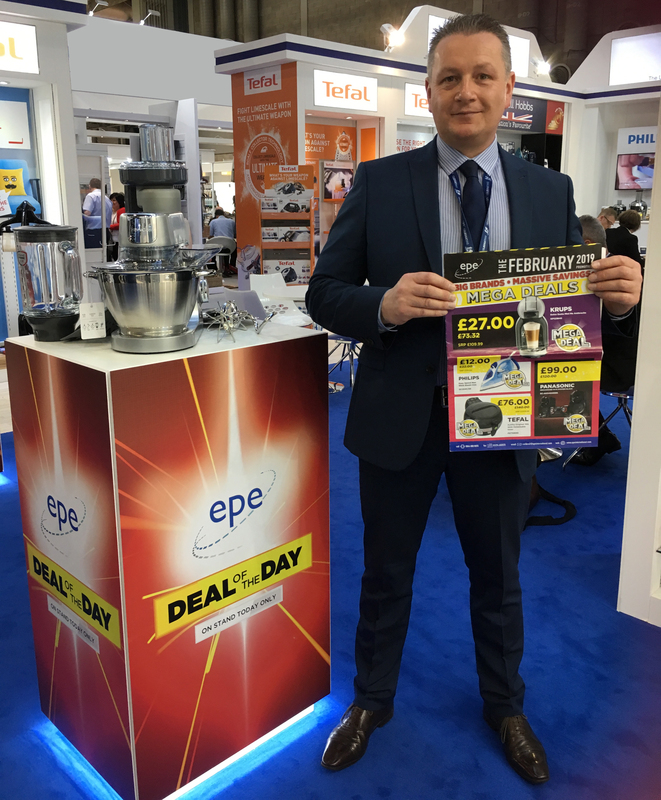 Don’t miss out on EPE’s Mega Deal of the month!? 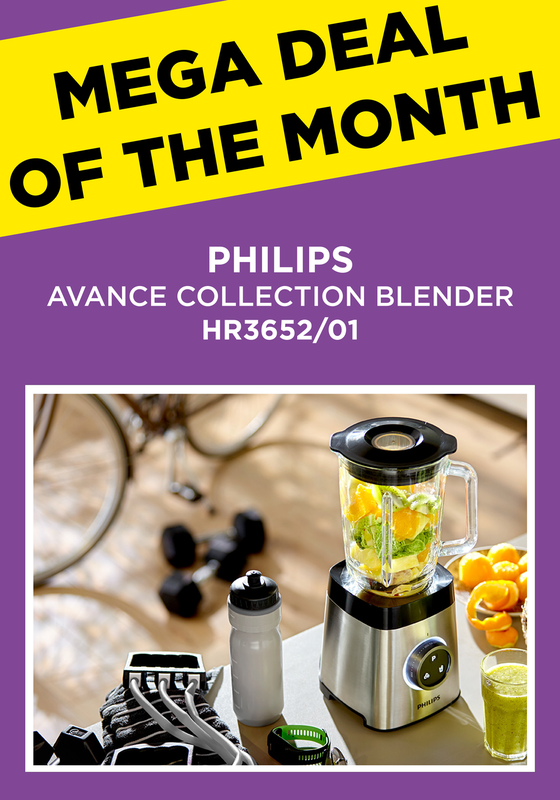 The Philips Avance Collection Blender is the key to perfect texture with 50% finer blending. 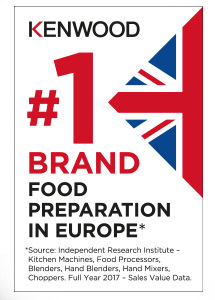 80% of users feel more inspired to consume more fruit and veg. 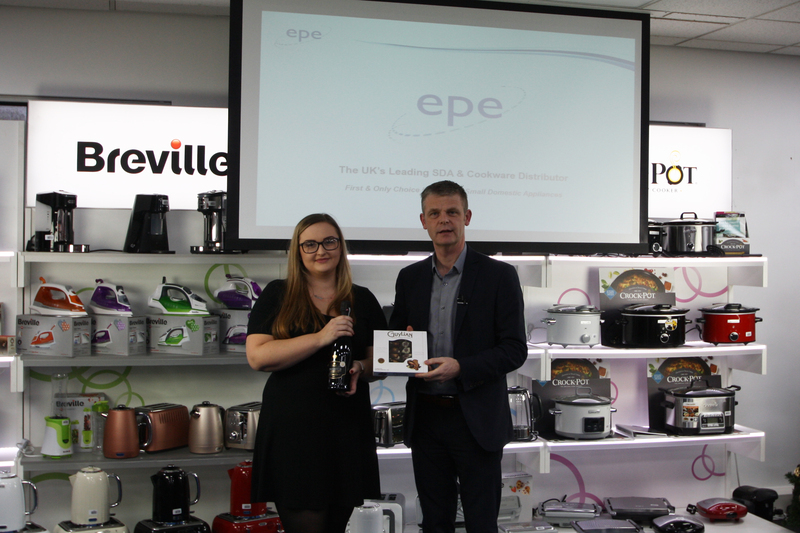 EPE’s brand partners, Tefal have featured in Januarys edition of the Bira Magazine. 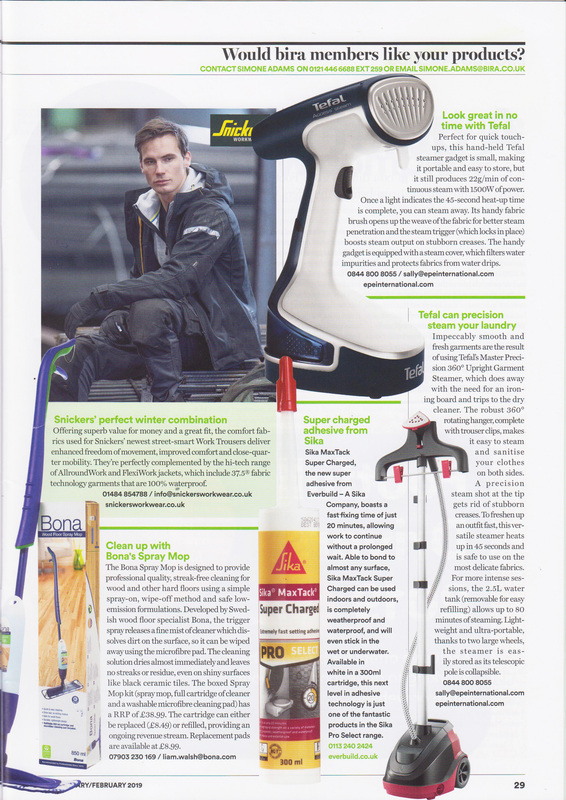 Read about the Tefal Access Garment Steamer & the Master Precision 360° Upright Garment Steamer! 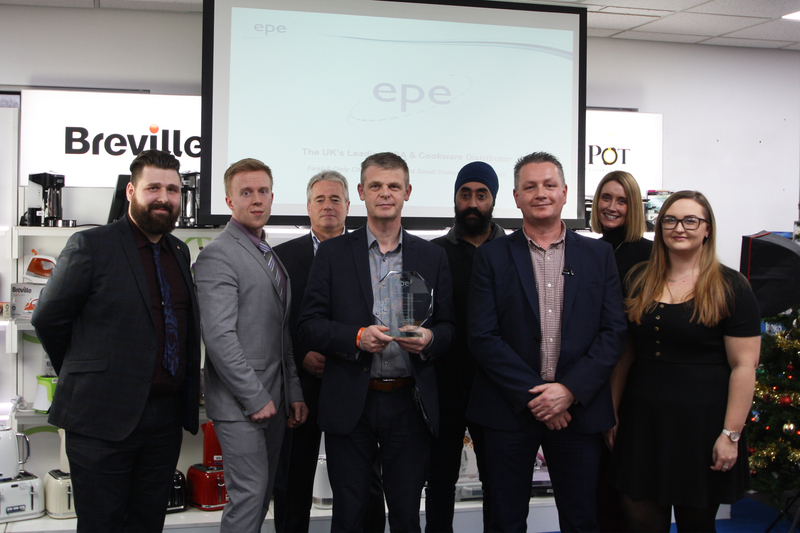 It was an inspirational end to 2018 for EPE International as all members of the business gathered together to celebrate individual & team achievements at the Annual Excellence Awards Ceremony. 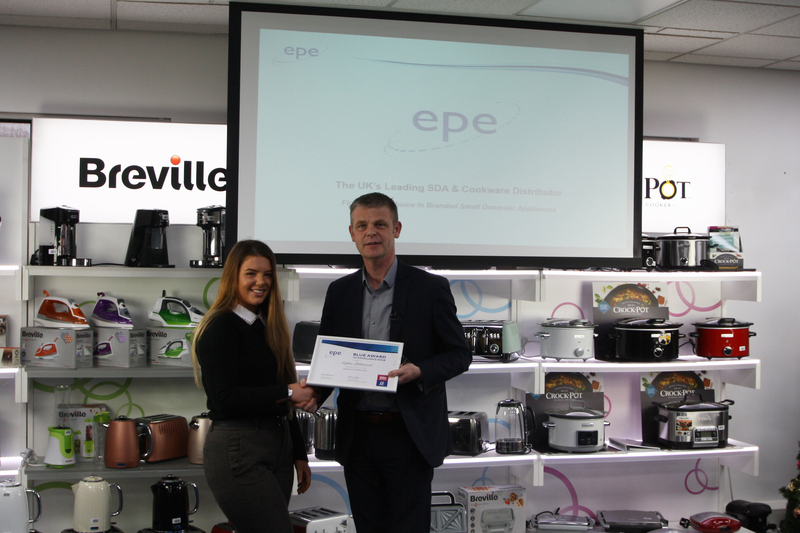 Noel Pamment, Managing Director of EPE International presented the awards to staff members in recognition of their commitment, innovation, passion and determination. 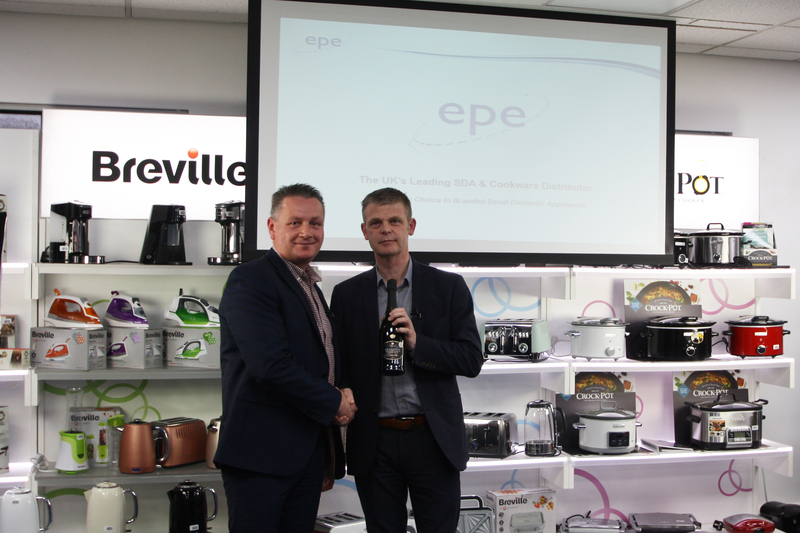 The end of the ceremony welcomed a surprise presentation for Noel from the Senior Management team on behalf of all EPE’s employees, Noel was presented with an award trophy in recognition of 15 Years of Excellence, his commitment to Employees & Investment in Growth. 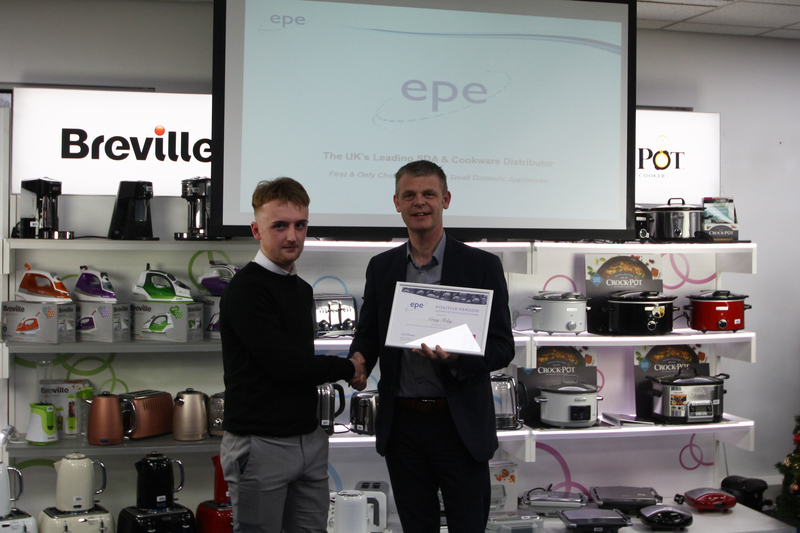 Congratulations and well done to all who were recognised at the awards ceremony. 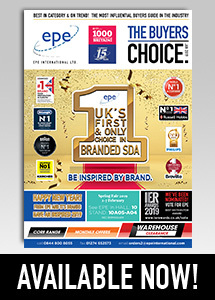 The January 2019 Issue of the Buyers Choice is now available in print format and for digital download. 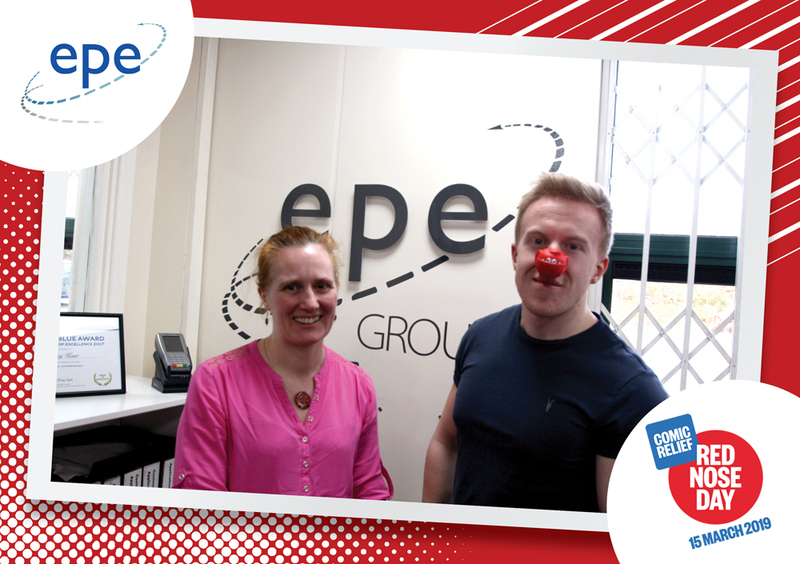 EPE Wish All Our Customers A Happy Christmas & An Inspired 2019!